However, even if this can be achieved the fundamental issue will not have been resolved. The future trading relationship with the EU is not part of the Withdrawal Agreement. This is to be negotiated during the transition period. Whatever is negotiated will then determine what form of border controls may be needed. These are typically required for two principal reasons. First, when the external tariffs between the partner countries are different. Second, to ensure that goods crossing borders meet the required standards. Unless the UK and the EU come up with an arrangement which obviates the need for both of the preceding, then the backstop will be invoked. 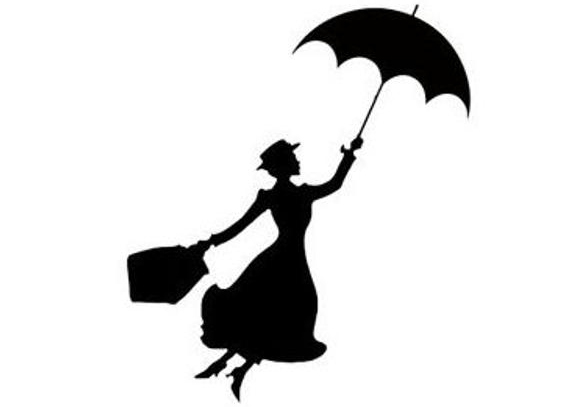 While Mary Poppins’ employer, Mr Banks, might have preferred not to “cloud the issue with facts”, options for the future trade relationship being mooted, such as Norway+CU, or CETA+++, do not solve the need for border controls, and therefore the need for a backstop. There is, of course, one simple solution: have the same tariffs and regulatory regime as your partner country. For the UK, this means applying the EU’s common external tariff, and being part of the single market. No other solution or alternative arrangements have yet been found. However, that simple solution is currently unacceptable to the UK government (because it does not allow for an independent trade policy); and is unacceptable to the EU so long as the UK insists on controls over labour mobility. So, what can the UK Government be thinking? One answer is that irresponsibly and perhaps astonishingly (although it is increasingly hard to be astonished) it is just trying to kick the can down the road, at least to get past March 29th, such that Brexit happens even if there is no coherent plan how to avoid the backstop. There may be some truth in this, at least for some. The alternative is that the Government does actually have a plan. The Political Declaration explicitly provides for the benefits of a customs union – no tariffs, fees, charges or quantitative restrictions across all sectors and no checks on rules of origin… , it also recognises the development of the UK’s independent trade policy beyond our economic partnership with the EU.. So, what can the Government be thinking? The hope still appears to be to use a combination of technology and ‘facilitative arrangements’ to enable the required paperwork, inspections, etc, to be done some way behind the border – and preferably on-site at business premises. This picks up on the ‘facilitated customs arrangements’ (FCA) floated in last summer’s White Paper, which at least from the Government’s point of view is clearly not dead. It is through that combination of technology and the FCA (which will no doubt be renamed and rebranded) that the Government is hoping for ‘the benefits of a customs union’ while only taking on the responsibilities of a Free Trade Agreement, which would allow the UK to be able to sign Free Trade Agreements on goods with third countries. Note, that as we have previously argued this also does not even address the issue of services trade. As Bert suggested: “a bit of magic. It’s easy. You think. You wink. You do a double blink. You close your eyes… And jump”. Alas for the Government, it cannot simply do a double-blink. As discussed in previous blogs, there here are many practical reasons why some form of FCA is scarcely possible, at least for the foreseeable future, and also why it would be difficult for the EU to agree to this – and we have discussed this in previous blogs. It will also not be possible to jump. A customs union alternative has been ruled out, so unless it can convince the EU that (FCA style) alternative arrangements are possible – there will have to be a binding backstop. If that proves unacceptable to the UK Parliament, it increasingly looks like there will be no deal. Delaying Article 50, as supposedly mooted by Olly Robbins, does not change this. Norway plus would avoid the need for a hard border if the CU component included continuing UK adherence to external tariff, customs code, and commercial policy, as set in Corbyn’s letter. Issue should boil down to net economic gain of maintaining benefits of frictionless benefits with EU versus those that realistically gained through an independent trade policy. You are envisaging EEA membership PLUS a Customs Union for all goods (including energy PLUS EFTA. That is your +? What makes you think the Norwegians want us to upset what they call the delicate balance of relationships they have achieved in EFTA? The indications are that they do not trust us (not entirely surprising given what has been played out for all the world to see. They know the ERG and followers will never wear it. They will keep up the division and arguments and disruption. They WILL poison negotiations and decision making. That is already clear to see. They would rather be EU members wher, if we are paying, at least we would have a say in the shaping of the rules. There is another way and Sein Fein are pressing for it i.e a referendum on Irish Unification. If the vote was in favour of unification and it took place, this would resolve the issue of a border between NI and the Republic. The extent to which it would lead to friction in trade between the (dimished) UK and NI would, of course, depend on the nature of the trade agreement between the UK and the EU but, in practical terms a border between NI and the UK would be easier to manage that a border between NI and the The Republic. It’s odd the the DUP are so strongly opposed to the back stop, given that it’s removal of emasculation would strengthen Sein Fein’s argument.